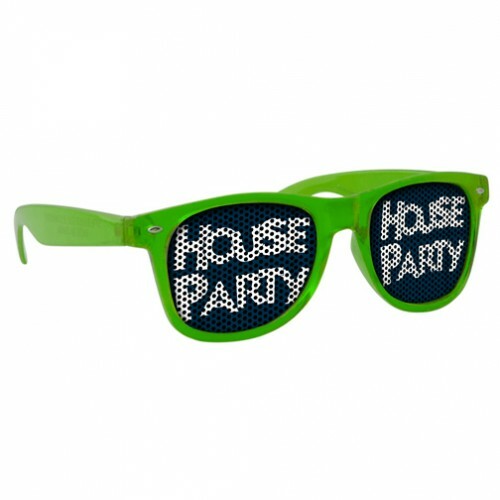 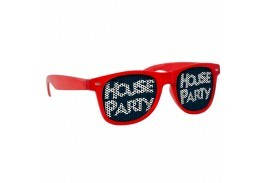 Liven up the party with our fun and distinct personalized logo lens sunglasses! 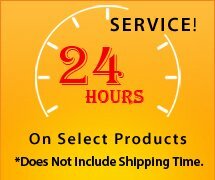 These custom glasses come in your choice of Translucent Black, Blue, Frost, Green, Orange, Pink and Red frames with your full color logo on the each lens. 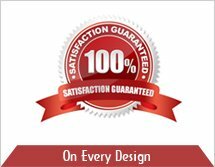 Choose a frame color to match your company logo or event theme or get an assortment and let guests choose their own color.